Spoon No 05 of 52. 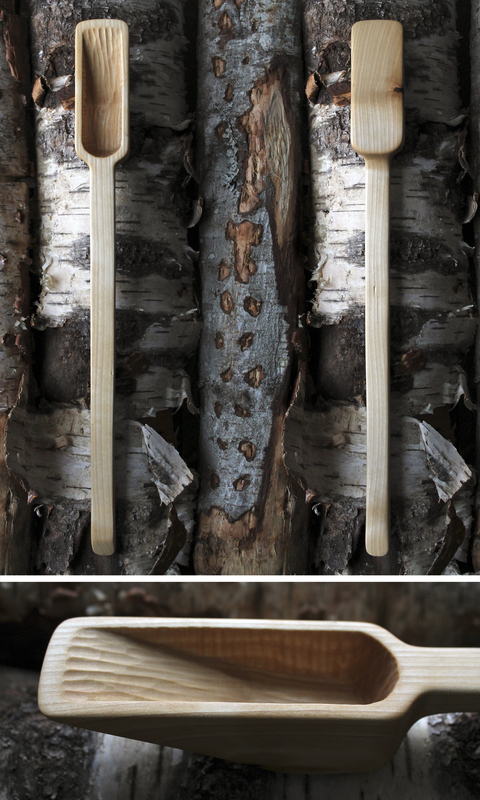 A long bucket shaped sweet shovel made from aspen. I’ve actually been working on it here and there over the last 2 weeks, shh don’t tell anyone. It took an age to make and was a real test of patience. The skin on my thumbs is hard and blistered after whittling this monster. I got inspiration for the furrows (the wavy bits) in the spoon mouth from some other designs I’ve recently seen, so tried to replicate this effect using a small chisel. I’m almost certain the first thing my mum would say would go along the lines of “It looks nice dear but I bet it’s a bloody nightmare to clean!”. Say hello to spoon No 04 of 52. 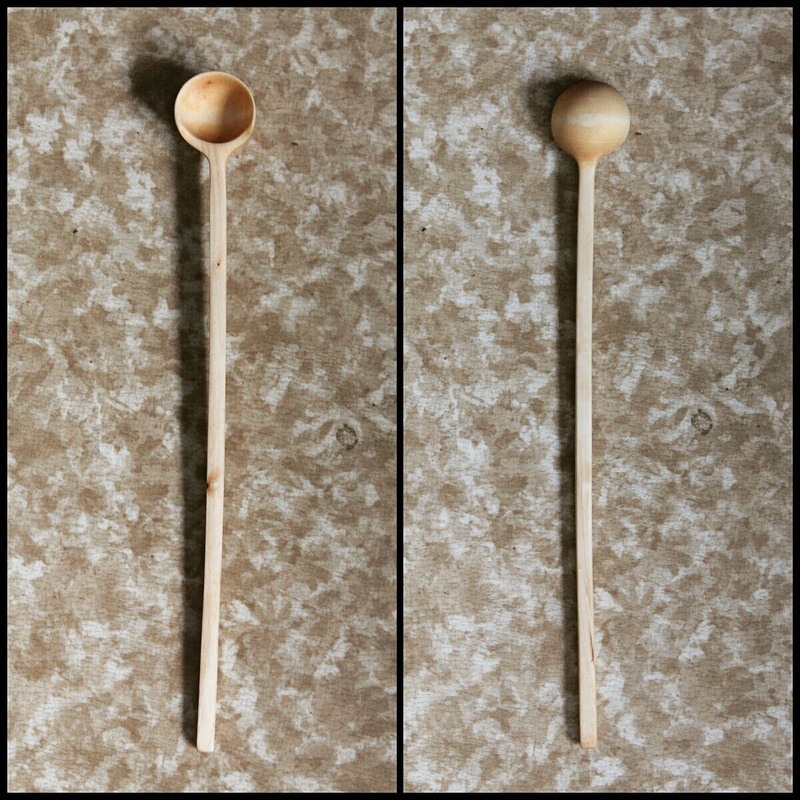 A little coffee scoop made from curly birch. Came together quite quickly and a nice one to make. Always like the way the final product never looks exactly how you imagined it to. There’s always a few subtle changes and sometimes some big ones that result from the carving process. To gain experience as a guide, during the IWG training you are required to work with two companies, totalling 5 – 6 weeks. You offer your services for free in return for the experience. This was my first practical training position, my second was as an assistant ski guide. During the first 3 weeks of December 2014 I worked as an assistant dog sled guide at Saija lodge, a family run company offering husky tours in central Finland. Located just below the arctic circle, where the sun coyly rises at 10.10am, floating just above the horizon before sedately slipping away again several hours later, at 1.30pm. A sun filled day compared to many of my course mates who were further north, where the sun didn’t rise at all. Can you believe it is the third week of the year already? I no longer work in weeks now, just spoons. We are now on spoon 3 of the year – A long thin slightly bent spice spoon – that seems to be bending more each day. I think it might be the knot in the wood that is causing this but who knows… Again made from aspen… I think? A real challenge to make and again nearly ruined it right at the end with a slip of the knife. It’s worth mentioning the inspiration for this project came from a similar but much more ambitious project called 365 spoons. 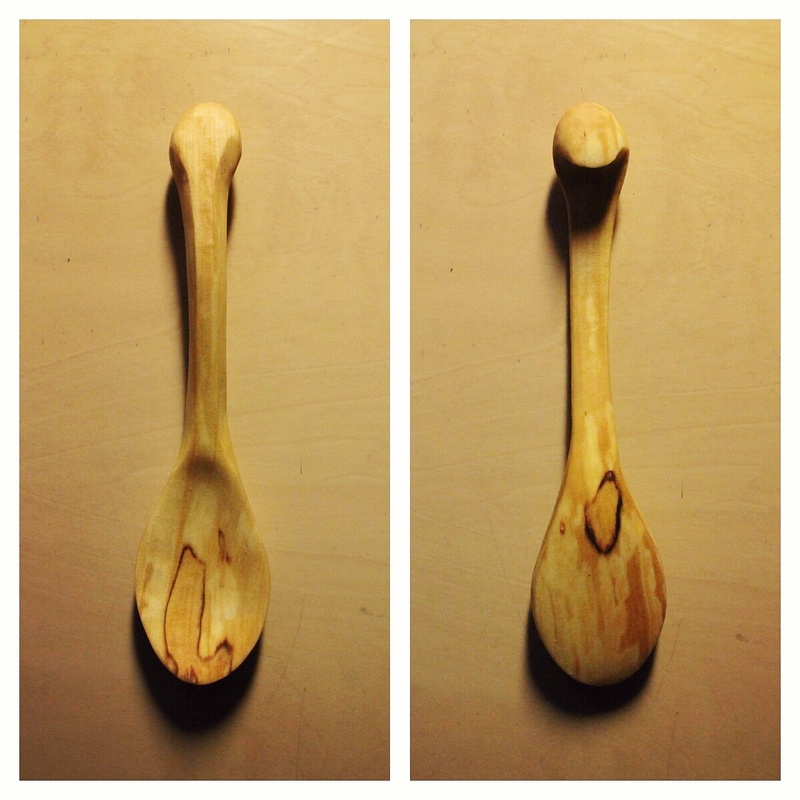 If you haven’t figured it out already, the mad man at the wheel of this project carved a spoon every day for 2014. A great idea with some incredible spoons made in the process, click the link above to see some of his handy work. We’ve already jumped into the second week of the year, new year’s resolutions eagerly skipping by our sides, hand in hand, looking longingly into our eyes. I wonder how long this relationship will last, I guess this is considered the honeymoon stage. For some this means abstaining from alcohol for others it means sweating it out in the gym and sticking to a silly diet etc etc…. For me however, that means making another spoon, 1 a week, for a year, not such a bad resolution I’d say. I’ve given this one the catchy title of wiggly snail shell sugar spoon. I think the wood is aspen, but can’t be sure, anyone know? Early on in the whittling process I nearly snapped off the head and was close to giving up and throwing it away. Glad I persevered. Enjoyed making this spoon, definitely learnt a lot and couldn’t even see the grain till I sanded it and oiled it, came up a treat! 2 down 50 to go. For 2015 my resolution is slightly different to previous years. I’ve been a bit spoon obsessed recently and have decided to take it one step further – I will carve a spoon for each week of the year, so 52 in total! 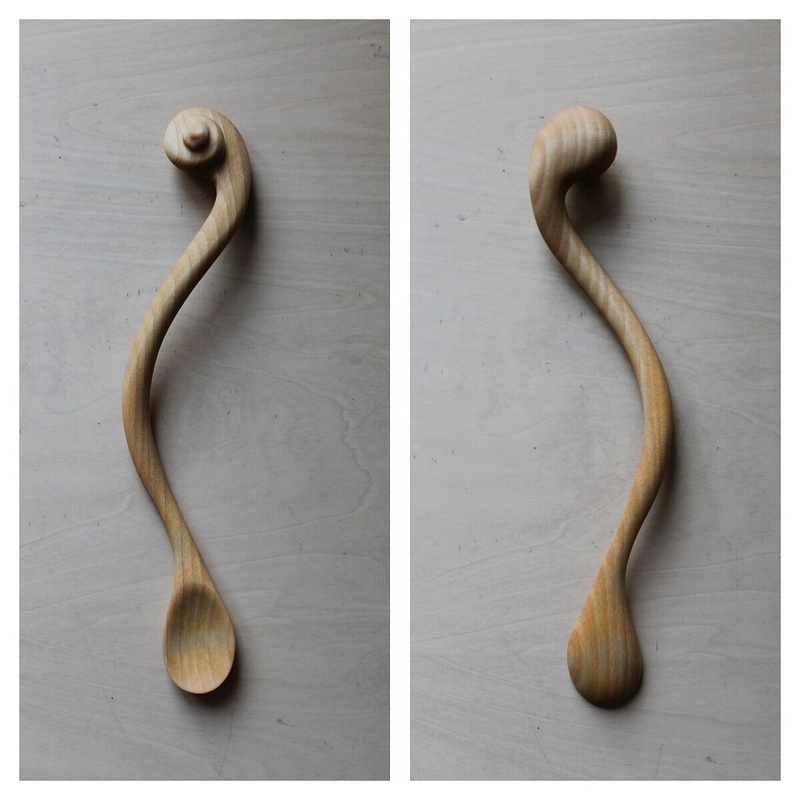 This is the first one of the set – a large stirring spoon made from curly birch. It’s got a little hook on the back so you can hang it on things… Like a pint glass or a table… Still not sure quite how useful that is. Either way, many more spoons coming your way. 1 down 51 to go!